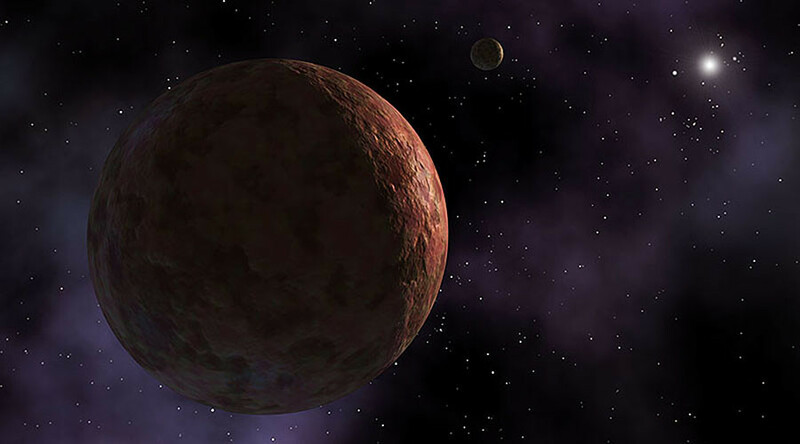 A team of astronomers have discovered a new dwarf planet in our solar system. Dubbed 2015 RR245, it is 120 times farther from the Sun than the Earth at its farthest orbital point. “The icy worlds beyond Neptune trace how the giant planets formed and then moved out from the Sun. They let us piece together the history of our Solar System,” says Dr. Michele Bannister of the University of Victoria in British Columbia, one of the researchers behind the finding. “Almost all of these icy worlds are painfully small and faint: it’s really exciting to find one that’s large and bright enough that we can study it in detail,” she added. The newly discovered dwarf is estimated to be around 700 kilometers in size, not more than five percent that of Earth’s. It has one of the biggest orbits for a dwarf planet, however, taking some 700 years to travel around the Sun. “Worlds of this size are fascinating because they can potentially tell us about what makes an object go from being an unchanging lumpy mashed-together structure of ice and rock to having geological processes that separate and rearrange its material, as happens on Pluto,” says Bannister. Researchers still have doubts about the dwarf’s actual measurements, however, as they have yet to analyze its surface properties to figure out whether “it’s either small and shiny, or large and dull,” according to Bannister. The super-precision telescope on Maunakea, Hawaii, deemed one of the best optical observing locations on Earth, found 2015 RR245 as part of the ongoing Outer Solar System Origins Survey (OSSOS), which is being conducted by a team of some 50 astronomers from institutes and universities throughout the world. They have discovered over 500 objects beyond Neptune’s orbit so far, but 2015 RR245 is their first dwarf planet. 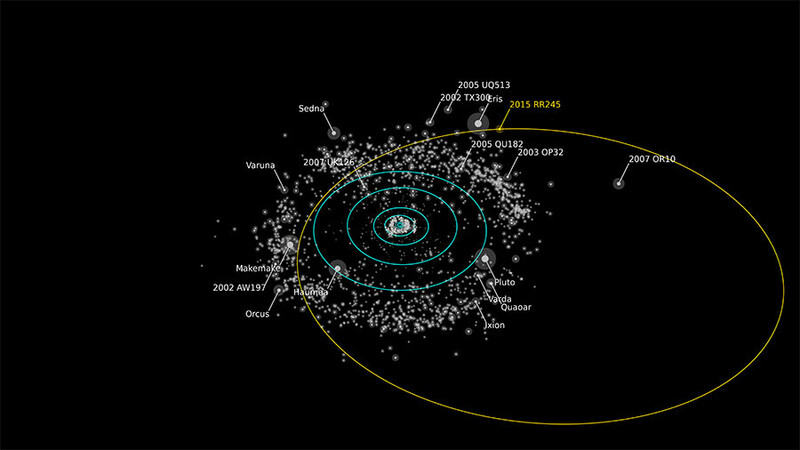 The dwarf was first spotted back in February as a “dot of light moving so slowly that it had to be at least twice as far as Neptune from the Sun.” It is the latest of some 200 dwarf planets that have been discovered, which are believed to orbit the sun in the Kuiper Belt region – a chaotic whirlpool of comets, rocks, ice chunks and other celestial objects that orbit the sun far beyond Neptune. Scientists have only been able to observe five of them in any detail so far, namely Pluto and Eris, the largest discovered dwarfs, as well as Ceres, Haumea and Makemake. Objects like 2015 RR245 were mostly either destroyed or ejected from the Solar System when the giant planets shifted towards their present positions around the Sun, and only a few survived. This newest discovery may be one of the last large dwarfs to be found beyond Neptune, the Solar System’s most distant large inhabitant, until larger and more precise telescopes are built.